Hopheads may be happy to hear that the first beer to roll out of Matt Cohen’s brand-new brewery on Route 7 in Shelburne will be an India pale ale, and they won’t have to wait much longer — it should be flowing by Christmas. Those first kegs will mark the end of a year of intense work and planning for Cohen — known as “Matty O” from his days as the beloved head brewer at Magic Hat Brewing Company. He left his job last fall to pursue the dream of every beer maker: his own brewery. All year long, Fiddlehead Brewing Company has been gradually rising just across the street from Shelburne Vineyard — first its foundation and skeleton, then its steel shell, and finally a weathered, wooden, red façade. In September, gargantuan boilers and mash tuns arrived. This month, Cohen will finally start brewing. In a few weeks, craft-beer pilgrims can trickle in to sample two or three beers he’ll have on tap in his tasting room and order growlers that they can tote next door to Folino’s, a pizzeria soon to open in the same structure. There, building owner John Koerner — Cohen’s landlord — will crank out flatbreads from a brick oven, the perfect foil for fresh brew. The bearded Cohen, 37, plans to distribute Fiddlehead’s new IPA by the holidays, first to Sugarbush, Mad River Glen and a few other places around the state, including Burlington. The medium-alcohol ale (6.2 percent) will be “aggressively dry hopped,” he says, with strong citrus notes and hop aromas but not overwhelming bitterness. As for what he’ll conjure next, Cohen is somewhat oblique — though he’ll concentrate on “sessionable” beers that one can sip for hours, he says. “I’ve dusted off my old home-brewing equipment and have been working on recipes for brew day,” says Cohen. That’s about all he’ll share, other than his general plans for some seasonal beers and occasional one-offs with local hops. Anyone familiar with Cohen’s days at Magic Hat may already have a clue about his style; the quirky brewery was and is famous for playful and palatable beers, often with unusual flavor profiles. 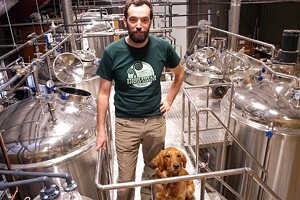 Cohen began making beer in his dorm room 16 years ago, when he was an anthropology student at Ithaca College. “At the time, it was hard to get beer, so I started making it, and the first batch turned out OK,” he says. He used a home-brewing kit from a magazine ad to concoct a beer that was supposed to be a light American lager. In 1996, after graduating from college, Cohen moved to Vermont with his then-girlfriend, now wife, Amy. His first brewery job was cleaning out growlers and kegs at the Shed Restaurant & Brewery in Stowe, where he stayed for nearly a year before landing at Magic Hat in 1998. There he started by filling kegs and worked his way up to head brewer about halfway through his 13-year tenure. 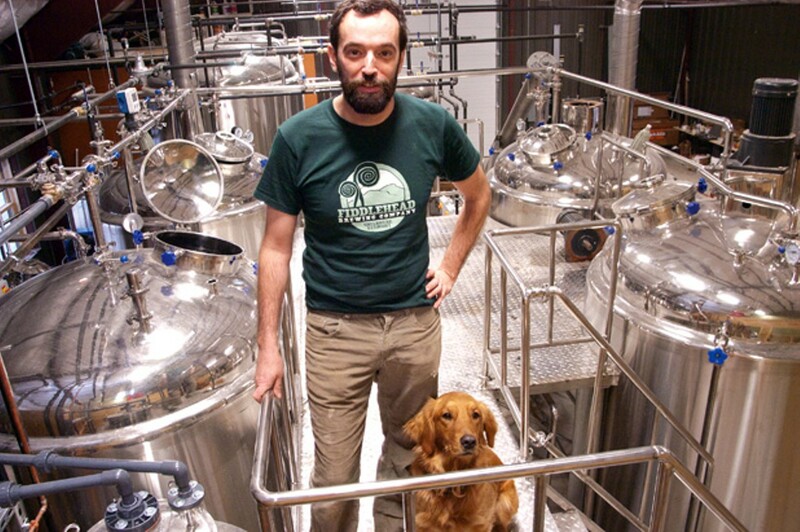 He left on October 31, 2010, with plans for a self-funded craft brewery. At first, Cohen planned to open the brewery in Burlington, but, about a month after he left Magic Hat, he signed a 10-year lease on the not-yet-built structure on Shelburne Road. Koerner started construction on a new building in April, and Cohen began planning and building the 15-barrel system that is now in place. The setup — with one mash tun and one lauter tun, two boilers, two fermenters, and a 30-barrel brite tank — will enable him to produce a batch of beer every three and a half hours. Eventually, Cohen plans to turn out 5000 barrels of Fiddlehead beer a year. For the first year, though, he’ll keep it under 700 barrels, controlling growth and perfecting his “drinkable and accessible” styles. “I think a lot of attention right now is on the extreme end of brewing — bigger beer,” Cohen says. “I’m a person who enjoys a sessionable beer; you can have a few of them without destroying your palate.” He also likes brews that strike an elegant balance between malt and hops. While Cohen remains somewhat mysterious about his upcoming beer menu, next door a dust-covered Koerner offers more details about Folino’s. He’s busy setting up the pizzeria, which he plans to open shortly after Fiddlehead begins cranking. Koerner used to own the Bagel in Shelburne, and, though he doesn’t pledge any allegiance to the food business, it may be in his blood. About six years ago, Koerner became “obsessed,” he says, with baking perfect bread, à la the crusty, slightly sour loaves of Gérard Rubaud. “You’d think bread is easy,” says Koerner. But perfection eluded him, even though he built an oven in his backyard. Frustrated, Koerner would throw loaves not up to his standards across the room. In the middle of a roughly 2000-square-foot room is a stone oven covered in foil. An enormous Pietro Berto standing mixer sits at the ready. Counters and seating are waiting to be built. Cavernous as the space is, Koerner is restricted by Folino’s location in a commercial/industrial zone to serving no more than 18 sit-down diners at one time. Because his seating will be so limited, Koerner is kicking around ideas for small, quasi-private dining areas where people can retreat with their flatbreads and serve themselves salads, drinks and desserts from refrigerators. Since service would be minimal, diners could instead donate tips to the nonprofit he runs for Ugandan children, 52 Kids Foundation. Though that plan is still nebulous, Koerner is certain that his eatery will be BYOB — or, as Cohen jokes, “BYOF”: Bring your own Fiddlehead. 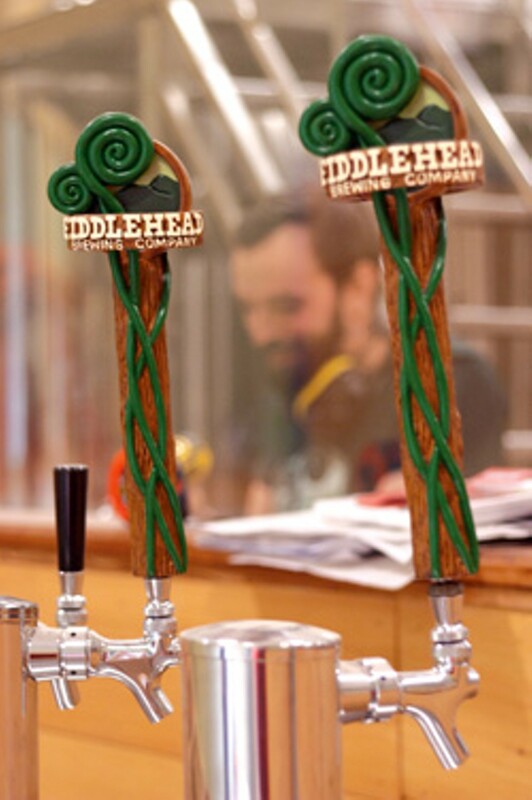 Customers will be able to tote growlers from the Fiddlehead tasting room to the pizzeria. For craft-brew lovers, it could be the perfect pairing.